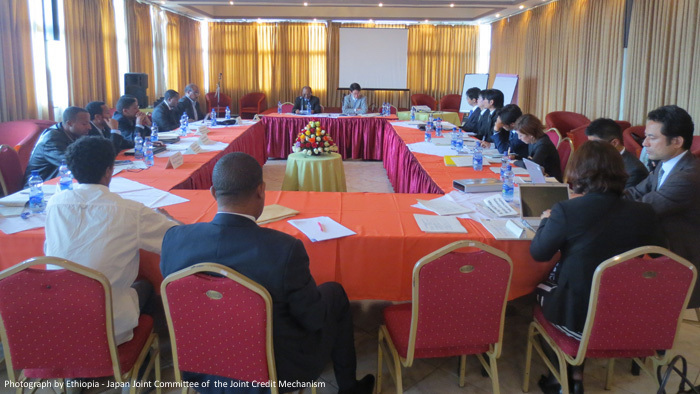 27 January 2017 – A consultant team commissioned by the Japanese government has completed two missions to Kenya and Ethiopia to engage with potential projects that may qualify under the Joint Crediting Mechanism (JCM) projects; a bilateral carbon offset scheme initiated by the government of Japan and partner countries. The team held meetings with multiple stakeholders including policy makers and the private sector with an aim of identifying promising projects that could benefit under the pilot support scheme for model JCM projects. Under the scheme, the government of Japan can provide full grant financing for feasibility studies or partial grant financing for project implementation. The primary ambition of the scheme is to facilitate the adoption of leading low carbon technologies and making contributions towards the global green house gas abatement ambitions. In both countries, Carbon Africa provided support to the mission by undertaking the project identification process, compiling regulatory information, providing advice on opportunities in different sectors and facilitating stakeholder engagement.